VA Legal Services | 540-347-2424 | James P. Downey, P.C. James P. Downey, P.C. 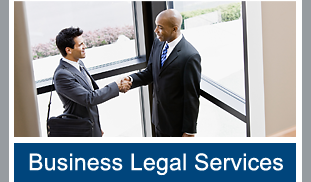 has been competent, timely, and cost effective in their legal work for our companies. I would highly recommend them to other potential clients. The leading rule for the lawyer, as for the man of every other calling, is diligence. Leave nothing for tomorrow which can be done to-day. Never let your correspondence fall behind. Whatever piece of business you have in hand, before stopping, do all the labor pertaining to it which can then be done. Tax Assessment, Wills, Trusts and more. James P. Downey, P.C. 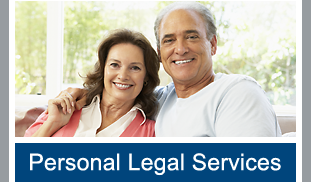 is a general civil practice law firm providing experienced legal services to individuals and businesses. When it comes to Real Estate Development, Tax Assessment, Zoning, Land Use, Environmental Law, Commercial Litigation, Business Law, Wills, Trusts and Estate Planning, and Personal Injury throughout Virginia, you can trust James P. Downey, P.C. to handle your case skillfully and diligently. James Downey is the principal attorney for the firm. Offering decades of experience, James P. Downey, P.C. provides counsel in many areas of law. With experience of more than forty years, James Downey is the lawyer to trust for the simplest or most complex legal issues. The firm works with specialized outside counsel as needed, and is well networked within the Virginia legal community, including seminar presentations to Bar Continuing Legal Education programs and trade groups. Mr. Downey’s experience extends to administrative hearings before state and local agencies, trials in numerous Circuit Courts, and argument of appeals in the Supreme Court of Virginia. Located in Warrenton, VA, the firm serves clients in Northern Virginia, Central Virginia, the Shenandoah Valley, and the Tidewater area, including Fauquier, Culpeper, Prince William, Rappahannock, Fredericksburg, Fairfax, Charlottesville, Richmond, Suffolk, and Hampton Roads. The information you obtain at this site is not, nor is it intended to be, legal advice. You should consult an attorney in person for advice regarding your situation.